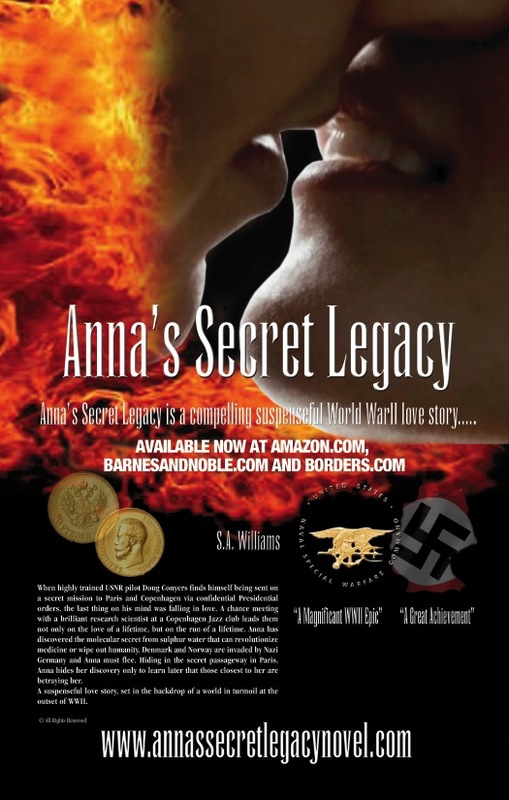 Great sales for Anna’s Secret Legacy Novel in the US & UK in 6 weeks! “You daydreamin’ there, partner?” said Lenny, smiling, nudging Doug with his elbow. They stepped out of the taxi as the driver placed their bags on the sidewalk in front of their destination, Harry’s Bar—a well-known watering hole and frequent destination for Hemingway, Scott Fitzgerald, Gershwin, Jack Dempsey, Marlene Dietrich, Steinbeck and many other expats. Harry’s originated years ago when a successful American jockey, Todd Sloan, familiar to the French racing world, joined a New York saloon owner named Clancey to open up the bar. Harry’s Bar was famous for its creation of the drinks “Bloody Mary” and “The Sidecar,” conceived between 1915 and 1939. Once inside Harry’s, Doug and Lenny found a secluded table and ordered drinks. Doug leaned back against the mahogany wall, taking in the shields of dark wood bearing the insignia of American colleges and British universities. He intuitively scanned the room looking for the likely contact. This entry was posted in Amazon, Anna's Secret Legacy, Anna's Secret Legacy Blog, Annas secret legacy novel, Book Blog, Book Signing, Borders, spies, World War II. Bookmark the permalink.